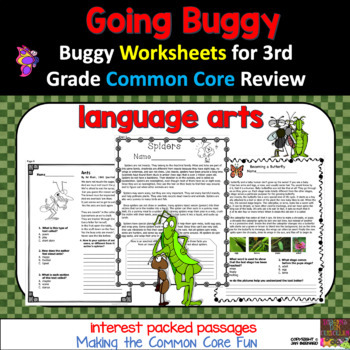 Get a little "buggy" as you reinforce the common core LA standards with these activity sheets covering one month (20 sheets) of practice for your students. Activities cover literature and informational text, language skills, writing and foundational skills. 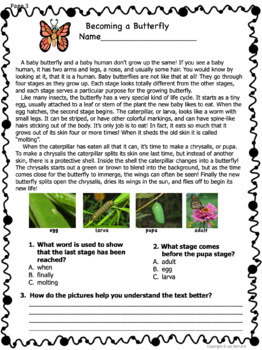 Your students will learn about insects and spiders with this packet, as they improve their common core skills. It is perfect for test prep or daily practice! I loved these. This product had variety, and it kept my students engaged. It worked well for test prep. These are GREAT! My students love learning about the different insects and I like the independent practice. This has been a major help when planning! Every activity is clear and interesting for the students. Thank you! 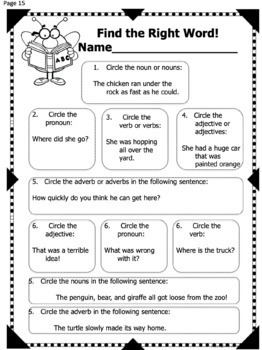 It's Time for Guided Reading: Now What Do I Do? National Board Certified Teacher (2001-2011), Masters in Curriculum, Gifted Certified, Cobb County Elementary Teacher of the Year, Addison Elementary Teacher of the Year, Bullard Elementary Teacher of the Year, Atlanta Journal and Constitution Honor Teacher finalist ($5000 award), District 3 Georgia Science Teacher of the Year, Author of seven books published by The Child's World Press, Wrote online k-12 social studies and language arts curriculum for Coca Cola, curriculum writer for CNN, curriculum writer for American Legacy Publishers 2009-2014, 25 years teaching experience in grades 1st-4th. If you would like to receive notices of new products, and get 1/2 off during the first 48 hours of launch, click on the "follow me" button next to the green star. 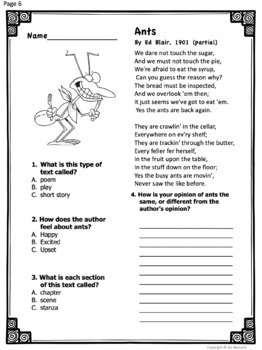 Going Buggy Over Common Core Language ARts Activities for Third Grade by Jan Bernard is licensed under a Creative Commons Attribution-NonCommercial-NoDerivs 3.0 Unported License.